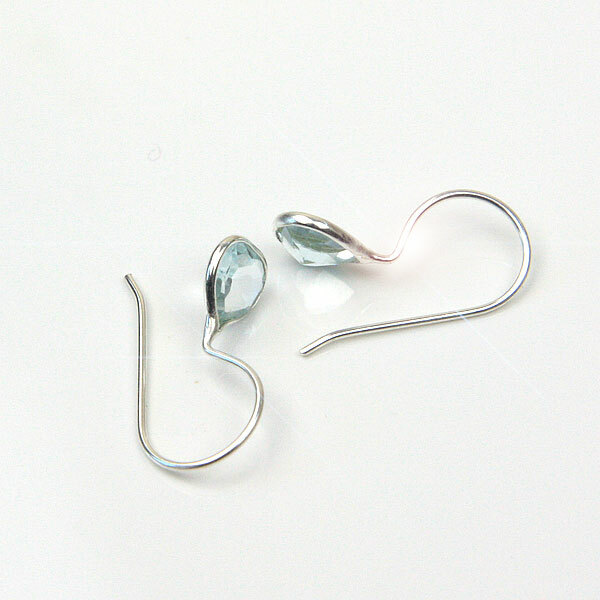 Pretty, delicate Silver Hook Earrings with pale Blue Topaz stones. 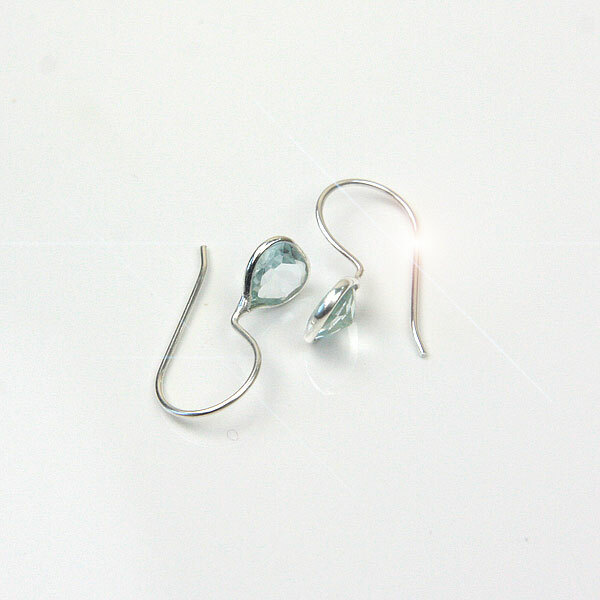 The light attractively passes through these teardrops of faceted Blue Topaz stones, which are framed by silver. These earrings are designed and made by Banyan in Devon, which are new to the KIENA Online Shop Collection. The distinctive and innovative Banyan jewellery is made in 925 sterling silver, is often detailed with gold, copper or brass and, as with these earrings, frequently decorated with precious and semi-precious gemstones.